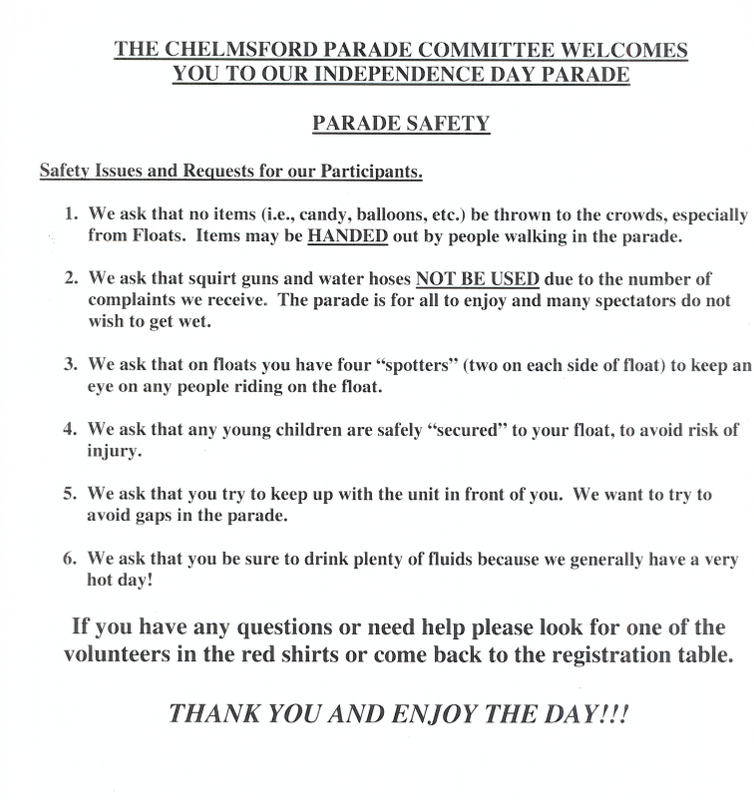 The following items are prohibited along the parade route on July 4th and on the common on July 3rd and July 4th. All bags, coolers and personal effects are subject to search. Please do not leave any items unattended. Any unattended items will be disposed of by law enforcement personnel.